WILMINGTON — A Blanchester man found guilty of shooting his then-girlfriend will face a bench trial for his remaining charges. 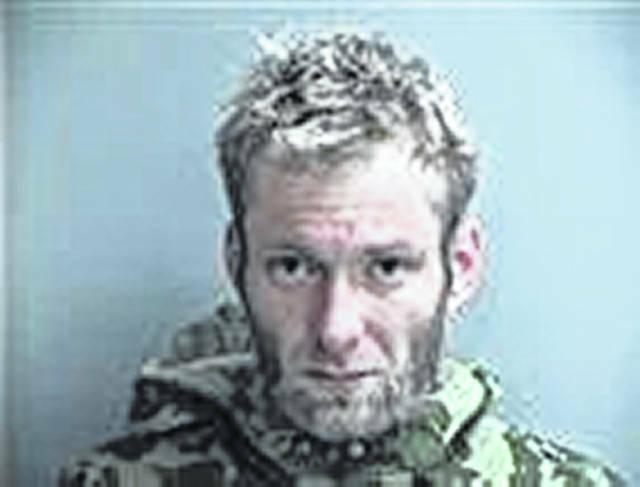 Jamie McLaughlin waived his jury trial for a bench trial, scheduled for Feb. 5, when he appeared in Clinton County Common Pleas Court on Tuesday. Judge John “Tim” Rudduck confirmed with McLaughlin that this was of McLaughlin’s own choosing, and that he wasn’t being influenced to do it. McLaughlin was previously found guilty of felonious assault and having weapons under disability in a jury trial in October related to the May 2, 2018 shooting of his then-girlfriend, Mary Neace. The sentencing for these charges is scheduled for Feb. 6, after the bench trial. The bench trial will be for the remaining charges McLaughlin faces, including: two felony 3 abduction charges; two misdemeanor 1 aggravated menacing charges; and a felony 5 receiving stolen property. A felony 2 attempted murder, misdemeanor 1 assault, and a third abduction charge were previously dismissed. He was indicted in June for the shooting and two other alleged crimes — brandishing a machete and threatening two people who spent the night at his home, and the discovery of stolen property on May 7 at McLaughlin’s home while officers were executing a search warrant.